I've not had a lot of time to be online lately, or to be at a computer at all, except when doing something for work or the business. But I have had a decent amount of time to read and to edit hard copies of the ole Darkbow trilogy. I've also had plenty of time to think about writing and editing and plotting and all the stuff that comes with it. Why all this is, is because in my business, lately I've been doing a good bit of just driving and a good bit of having to sit in one place or another (a client's house or in one office or another). So, no computers, but some free time to read and copy edit and think. And the other day I came up with the entire plot, including several major characters, for a mainstream novel. All of this thinking came about in roughly an hour. It's a way to amuse myself, to pass the time. I liked the idea for the novel, and someday I might get around to writing it. But that got me to thinking further. How many ideas for novels (meaning complete novels, not just the little flashes of ideas), have I worked out in my head over the years? I went through a mental count, and came up with about 20. So, I have 20 novels sticking in my brain. Most of them are fantasy, though a few are horror and a few are science fiction. At least a couple are mainstream, possibly even literary. Some of them could easily change genres, from fantasy to horror in the real world, etc. I might write some of these novels someday. I might not. Right now, I just wish I could get through this friggin' trilogy. Even if I never sell it, I'm just kinda sick of working on the darn thing. It's not necessarily boring me, but frustrating me. I have all these other stories I want to get to, but I've spent more than two years on this trilogy (which still has a few major plot problems needing worked on, but I'm starting to think I'm too frustrated with the project to do the major work needed -- maybe I just need to set it aside for a while and start something else). Notes: I read "Atlas Shrugged" years ago, and loved the book, and the writing, so thought it was time I got around to this one. Rand is one of the most compelling writer's I've read, and she breaks so many rules. Her stories are full of exposition, the dialogue is either brief to the point of being hard-boiled or it goes on and on in pages of political/social/philosophical manifestoes. But it's still great reading. Rand is best known for her philosophy of Objectivism, sort of an atheistic super-capitalism that focus on mankind, as individuals, being the best they can be; her philosophy sort of says "there is no god, but we should still be the best we can be from an objective sense, not necessarily a moral sense." That's way too brief of an explanation for Rand's philosophy, so I apologize to any Objectivists who read this and cringe, but readers who want to know more can look it up online. I myself find major faults with Objectivism, but understand it's appeal. For one thing, I think Objectivism has a rather narrow and limiting view of the world and of mankind. Rand herself would likely brush me off and just say I'm a cretin who doesn't understand and am thus beneath her notice. Still, Rand is such a compelling writer that you find yourself screaming out "Yes! Yes! By God, she's right! Down with the dirty communists and socialists!" But then you go, "Oh, wait a minute, there isn't a God." Anyway, I've never read any other author who seems sooooooo, 100 percent sure of themselves as Rand. Too bad she didn't write more fiction than she did. Mini review: Without a doubt, the best book I've read so far this year. I enjoyed the reading of it even more than that of "The Count of Monte Cristo." I don't agree with Rand politically, and her philosophy lacks much, but she is a heck of a good writer. In all 700 pages of this book, there were maybe ... maybe ... 10 pages of this book where is was kind of bored, and those 10 pages were back story for two characters. At its most basic, "The Fountainhead" is a "superman" novel, and like all such novels, average humanity cannot live up to the ideals esposed. A great read. I'm not very experienced in Eastern (or Asian, if you prefer the word) literature and/or related fiction. 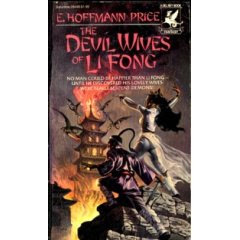 I'm currently reading "The Devil Wives of Li Fong," and in the past I've read a few Eastern-related short stories. However, I am somewhat versed in Asian films that have made it to the U.S. market. I've seen nearly all of Kurosawa's works, my favorite being "Yojimbo." I've watched a lot of Woo's films, with "The Killer" being my fav, and I much prefer his Hong Kong pictures before he came to Hollywood. In the last decade I've seen a number of horror movies from Asia, "Ringu" and "Battle Royale" tied for my favorites in that genre. And, of course, as a kid and teen I watched all kinds of dubbed kung fu movies. None of which makes me an expert on Eastern stories or films. I'm sure the literature and movies of Asia cover a much broader spectrum than my limited readings and viewings. And let me add, to this day I don't get anime or manga; other than "Akira," most of what I've read or seen I didn't care much for. Maybe it's a lack of relevancy. Maybe it's a difference of cultures. Maybe it's because the Eastern world is somewhat alien to me. Maybe it's because I'm just another dumb, fat American. I don't know. I don't discount Eastern literature or film, because some of what I've experienced I have enjoyed tremendously, but it's just something I don't have a lot of experience with. All of that being said, the reason I really wrote this long-winded post is because of something I've noticed in Asian stories over the years. What I've noticed is that most Eastern characters don't seem to have much reaction to sudden, major changes in their lives. A Western example: Bilbo Baggins. Poor Bilbo is pulled out of his nice, cozy Hobbit hole to go on an adventure for a dragon's gold. This quite drastically changes Bilbo's life and character. Throughout "The Hobbit" he bemoans the fact he has been practically forced to become an adventurer, and he misses his old Hobbit hole and a cup of tea quite constantly. I don't see this fretting in Eastern characters. I don't mean this as a criticism, of the characters or the cultures. It's just something I've noticed. Maybe it's an acceptance of fate? I don't know. Then again, I'm probably just not experienced enough in Asian fiction. Notes: Steve and Gere Goble paid a visit to me recently, and while they were here we dropped in at Half-Price Books. Steve and I saw this book in a rotating bin, he suggested I read, so here I am. Also, I want to read this because I lack in experience reading Eastern fantasy stories. Mini review: A nice little story. The action keeps rolling along pretty well, though there's not a lot of combat. Sometimes it's a bit difficult to tell exactly what is happening, but I think that's more from a cultural divide on my part than anything. I don't read a lot of fiction based in Asian backgrounds, so this opened my eyes to a few things. More than they have sold. wherever you get your way. I'm a liar and a thief. in a daze 'cause I've found god. Well, I got the first novel in the trilogy sent out to another publisher. Two more short stories have been sent out, which means six are in circulation. So that's why I've not been updating the Bayne blog. I'll get to it, I promise. Bayne's not dead, I've just been busy. Having never seen the colour of my father's eyes. but it's a hell that I can grip. I gotta 9, a sign, a set and now I gotta name. We settle for nothing later. And we'll settle for nothing later. Line up to tha mind cemetary now. keeps tha contracts alive an movin'. His spit is worth more than her work. Pass the purse to the pugilists. And now he's the champion. Since their grandparents bought one. Who staff the party ranks. Like Baldwin home from Paris. But with different last names. Yes tha pictures tha same. There's a church a myth and a hearse. a child dead at birth. A syringe and a vein. It's caged and frozen still. So swallow the one that makes you ill.
Notes: I read Smith's first book, A Simple Plan, when it first came out in the late 1990s. It was a dark suspense novel, damn close to being horror. I wasn't blown away by that first book, but I saw lots of promise for the author. This, The Ruins, is his second book, and I received it as a Christmas present. Just now, as with many of my books, getting around to reading it. Mini review: Overall, a pretty good book. First, the bad stuff: Nearly all the characters are not very likable, and the plot is right out of a teen horror movie. 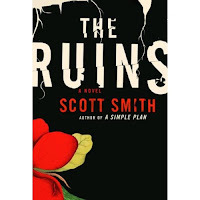 The good stuff: Scott Smith, probably better than any author I've read, knows how to take a bad situation for his characters and make it worse. And then it gets worse. And worse. And worse. Until eventually you're sitting on the edge of your seat, shaking, thinking "Oh, my God! It can't get any worse." And then it does. This novel is horror with some possible supernatural or science fiction elements (it's never really explained, so don't read this book if you're one of those people who has to have everything spelled out for you by the end of your reading). It's a bit slow going the first 50 pages, and there are some slow spots here and there, but when it gets going ... it really gets going. Actually, I'm not having a party. But it is my birthday. For one, I have to work at my part-time newspaper job tonight. For two, I made more money from my writing this week than I did from my business. Yeah, that's how bad the business has been the last week or two. But, on the positive side ... yeah, I made more money from my writing this week than I did from my business. It sounds nice. Hope I get to say it more often in the future. Notes: I've had this for a while and been meaning to get to it. The recent reading of an Ed McBain book has got me in the mood for more hard-boiled action. 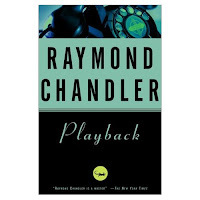 "Playback" might or might not be hardboiled, but I'm sure it will serve. 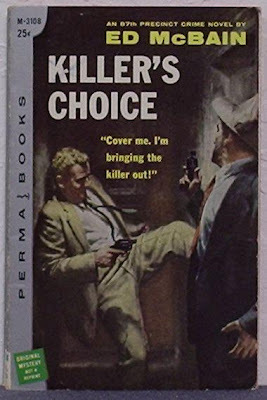 Mini review: I don't know which came first, Philip Marlowe or Humphrey Boggart, but this reads like a Boggie script. There's some nice witty, hard talk, but overall I wasn't impressed. Not a bad book, but not great. I think I prefer Ed McBain. I didn't hate this book so much I won't give Chandler another try in the future, but he would have to impress a lot to get me to read more. For anyone wanting to know ... no, I'm not dead. I haven't given up on blogs, or on Bayne or anything else. Just too busy with other stuff at the moment. I will return to regularly scheduled airwaves when I get the chance. Other than some mild cheese, I actually thought this was pretty cool. I had lots of bad news this week, some of it personal that I won't go into on the Web. Some of it financial, and again, I won't go into it on the Web. But worst of all, I finally received the e-mail I've been waiting almost a year to read. It was from a book publisher. They're not interested in my trilogy. Another e-mail! It's from a publication. Hmm? What could they want? Oh. They've accepted a short story I sent them. Now I'm dancin' a jig. Writers. We're so easy. Just publish one of our stories. Bruised and torn from stones and sticks. has got a ring about the size of Texas. I'm gonna break my rusty cage and run. In your Jesus Christ pose. Like you've been carrying a load. You don't want to be my slave. Like I need to be saved. And piss on my gate. And watch the rolling heads. And gave it to the rich. never seem to live up to the ones inside your head. never seem to ever get us anywhere but dead. with all the other pigs. you knowI should have stayed in bed. And leads the scorched ones here. And no one wants to speak about it. And I thought it was the 4th of July. Nothing can beat me down for your pain or delight. nothing can break me at all. I'd give in if it could at least be ours alone. Not for the kiddies! Enjoy! Notes: The truth is, I've had this book so long I don't remember when, how or why I purchased it (other than I've read most of Rice's vampire books, so this is a natural). I've decided to read it now because I just noticed I accidentally included it in my looooooong list of books I have read ... though I hadn't read it yet. Mini review: A fine work from Rice, though not her best. It does, however, contain one of my favorite characters of hers, Marius the Roman. 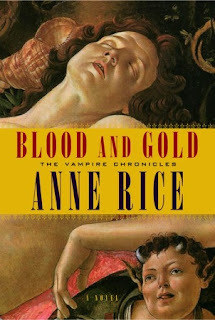 Like most of Rice's vampire books, this one is about a hundred pages longer than it needs to be. I mean, there's only so much morose whining about lost loves and thousand-year-old misunderstandings I can tolerate before I become bored. Some good, old-fashioned editing would have helped. Notes: This is a first edition paperback from 1957. It has yellowing pages and some of the pages are falling out, but at least all the pages are still there. Picked it up for a buck at Half-Price books a while back. It's got some collector's value, but not a lot since it's not in great shape, but I love it for reading. So that's what I'll do, read it. Mini review: An amazingly quick read. Some of the prose is a bit dated, but not too bad. I would guess 75 percent of this novel is told through dialogue, and it works. Quick, fast dialogue, that hardly leaves you room to catch your breath. A fine police procedural novel. I recommend.